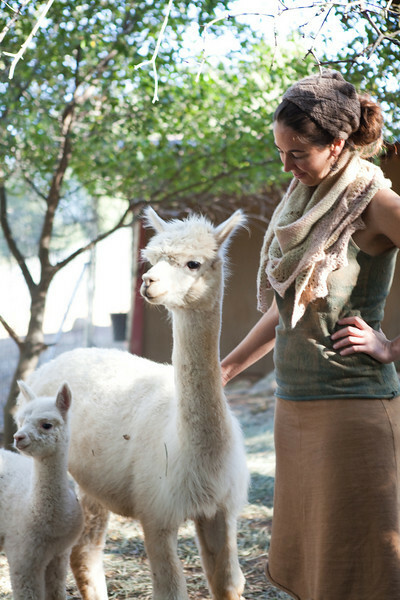 The fibershed challenge is to live for one year, in clothes made from fibers that are solely sourced within a geographical region no larger than 150 miles from my front door; this includes the natural dye colors as well! *The textile industry is the #1 polluter of fresh water resources on the planet. *The carbon footprint has been deemed the ‘elephant in the room’ by many in the industry–ranking as as the 5th largest polluter in the United States, where only a fraction of the industry even remains. *The chemical cocktail used to soften, process, and then dye our clothing is attributed to a range of human disease–including chronic illness, and cancer. *Even the most ‘eco-friendly’ synthetic dyes contain endocrine disrupters and the most commonly used dyes still contain heavy metals– such as cobalt, chrome, copper, and nickel. *Labor is sought for cost first and foremost–not its quality, leading to massive exploitation and many unstable jobs. We have off-shored the effects of our consumption, which has led to a great disconnect of the actual environmental and social costs of our clothing. The Fibershed project is inspired by the need to swing the pendulum of our production- and our consumption to a more balanced state, that supports the health of all humans and the greater ecological system of which we are apart; through the re-integration of organic fibers, natural dyes, and a regional base that supports local communities and economies. In my community alone thousands upon thousands of pounds of wool are composted or thrown into the landfills each year. We have a 13% unemployment rate, all the while if you go to a store to buy a wool undershirt– the raw material is from New Zealand, and the production from China. The Fibershed concept was coined in response to this extreme situation–with the inspiration that farming, milling, production and manufacturing could once again live in balance with the land we call home. Without mills– and with very little processing available to us, the Fibershed wardrobe will be created primarily by hand, with several exceptions. Dye colors will come from a variety of cultivated and tended native species. A team of dedicated artisans has come together to see the clothes manifest. The objective is to create and model a bioregional wardrobe that speaks the language of the landscape, through its use and care of local fibers–manipulated by the hands of local artisans, dyed in the botanic abundance of our lands. The Fibershed module will be offered up as a template to be replicated by communities everywhere. With a strong online presence, utilizing film, photography, and journal entries to document the process– the work of Fibershed will exist as a teaching tool for students, communities, businesses, and government. You are amazing Rebecca and a true inspiration to us all! I heard about this project through the interview with Cultural Energy Radio. I think it is the most fabulous project I’ve heard of in a long time and I believe in it with all my heart! Thank you Martha! So nice to hear from you, it is so refreshing to read your inspired words. I look forward to sharing more Fibershed stories with you! Do you sell socks? Handknit wool socks are so hard to find. I have been trying to reach you since I took a class with you at the Sangati center but I got no reply from Depa and your contact form didn’t work for me. If you have time I would love to talk to you about further workshops. Really inspiring work you are doing there. Really happy to came across your blog. I’m from Bangladesh where I work as a general manager for a garments manufacturing plant which export to USA. and came to realize day by day just how much we are polluting the fresh water resources among other things. I went to school in KY, USA. After I got back I started to see the contrast between the first world and the third world. Well, hoping the best for you. Thank you for the tip on the roots collaborative! Do you have a link to the CCA article? Let me know if you want tips on local and or organic material sources.. we are soon to have a database up with virtual links to the whole Fibershed– ‘soon’ meaning as the year closes, and when we’ve got everybody’s details transcribed.. Thank you for reading, supporting, and checking in, all very appreciated!! You are truly amazing. I would absolutely love to talk with you about a project I’m working on — a very small, minimalist clothing line. We’re researching manufacturing options, and it seems like you might be in the know. We’re baffled about the lack of cotton mills and spinning operations, and we want to change things in America. I’d love to chat and change the world! Thanks for your inspiration, and for sharing. I love you blog, I love your message, and I would love to help! Hello! I’ve been reading your blog for the last six months. I have to congratulate you, because I didn’t think it was possible to have an entire wardrobe that was community grown and manufactured. It isn’t possible here in central Florida (I checked). I look forward to reading more about your cause and method. New to this website. I find your idea wonderful! I focus on food production at the moment. Your focus is so important! Last year I decided to purchase only previously-used clothing from stores such as Goodwill, knowing there are plenty of garments out there that could be used again and again. 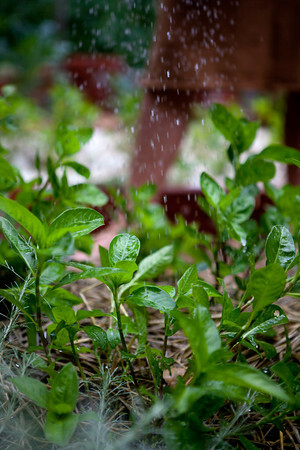 I like your idea because it goes right to the source- learning how to produce for ourselves in a manner that is less harmful to our planet than our current mode of living is an important process in this day! Good luck with your project and I hope you are able to inspire others and yourselves to continue longer than this year! I would like to get in touch with you because I manufacture knitwear using certified organic wool in my studio in Oakland. I would like to support and contribute to your project. I am elated to see that a local, solar mill is in the works, since at this time I get my wool from Maine. I would like to start a supply-line with local wool producers. Please send me an email, or give me a call. Hi, great stuff! Are you selling wholesale? If so we would like to carry some at our surf shop in Mill Valley. We heard about you through Marin Organic. Amazing blog and amazing project. Thanks for doing this. I’ve seen a 100 mile suit, in crafts report, but it was ugly and ill fitting and the wool was itchy. It gave local fiber and local textile crafts a bad name. Thanks for proving that local fiber and local designers can create beautiful, functional clothing given the right materials and enough time. Joybilee Farm (www.fiberarts.ca) has been growing mohair, wool, angora and llama fiber for 10 years and has been producing 100% local hats, socks, mittens, sweaters and slippers from these fabulous fibers, bred for clothing. But we’ve been a lonely voice crying in the wilderness. So happy to see that there are other voices out there, much stronger than ours. I’m blogging about you today. Best wishes for success in your project. The photos and stories of the fashion show are wonderful – full of life, and a strong, affirming understanding of ourselves and the world we live in! Thank you for all the details of foods, dyes, makers, wearers. The good work of the Febershed community inspires and encourages Rob and me. Perhaps you are already thinking of expanding this work to include clothing for men. They hold up half the sky too! We’d love to hear what you are thinking of for our friends, husbands, partners, sons, uncles, fathers, grandfathers. 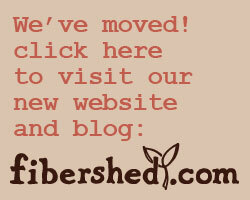 If you go to Facebook– and search for Fibershed– there is a fan page. If you ‘like’ us it is one way to hear about our events. Simultaneously, there is a ‘join our mailing list’ option on the left hand column of our fan page. Clicking on this is the best way! This is such a cool project. I’m a high school student and i just started learning to weave and use a loom. This is inspiring! I am so excited to have heard about this. I have worked in and around the garment industry my entire career and I recently have been seeking locally sourced linen, cotton and silk only to constantly be told- there is none. Your mission statement speaks to everything I have been so anxious to understand. Having just returned from Italy and lived in Ireland- I see amazing textiles and garments produced locally for centuries in those nations. When I question why there is no longer any production in the US- I am told it moved offshore due to the polluting . And I immediately ask what is the pollution cost of shipping product halfway around the world and back again. None of this makes any sense to me from an economic, environmental or excellence perspective. I am a local mother, yoga and dance teacher in Sonoma, Ca. I would love to model these gorgeous and heartfelt clothes in my classes in an effort to get the word out. I teach over 100 students a week ages 0-80, who always ask me what I’m wearing and wear did I find it. Outside of the studio, I wear mostly vintage, hand me downs and organic cotton products. I’m a small, but mighty 5’3″. I think I could really sell and advertise for this valuable project and collective group of insanely talented artists! Please contact me a.s.a.p. and let me know how I can help. Krissymarchus@gmail.com. Thank you! I would LOVE to add your blog to my igoogle homepage but you don’t have an RSS feed button anywhere I can find – Or an email sign-up list? Am I missing it somewhere? Thanks for doing what you’re doing though! I have made you my blog of the week. I love your work. You are really an artist. I am interested in starting this type of project where ever I live. How do I get started? On a side note, I am an artist and one of my arts is handmake paper. I am interested in sources of fiber for this art, especially cotton. We are launching our website in about a week or so… and we’ll have info on how to start a fibershed project on the website. The book Harvesting Color, that I wrote has latin and common names of dye plants across the country, as well as the Navajo name, where appropriate. I think there are many ways of utilizing fabric scraps for paper… although I know very little about the process– I think linen and hemp fiber are such great sources for paper, but again I’m not sure where to purchase those fibers locally… but I’m looking forward to those fibers being farmed soon! To receive an email announcement when our website launches, please sign up for our mailing list. There’s a link at the top of the right sidebar, just under the fibershed seal. Thanks! I tried to subscribe via the wordpress “follow ” thing but the link was not working. At the top of the right sidebar there are 3 social networking icons. The orange one is for RSS feed, and if you click it you will be able to subscribe. After the RSS feed window appears, look in the right hand column where it says “Subscribe in Mail.” Hope that helps!